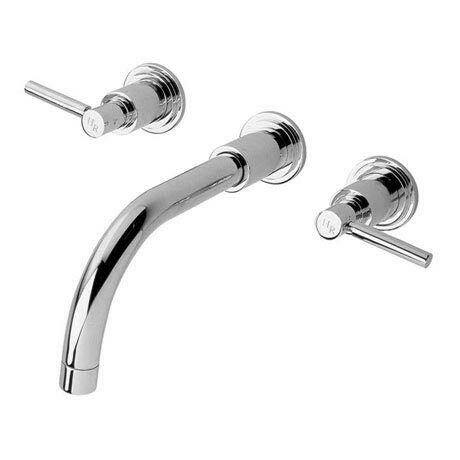 The Hudson Reed wall mounted basin mixer is part of the Hudson Reed modern bathroom taps range. Made from solid brass with a polished chrome finish. Supplied with lever handles and a 20 year guarantee. Their ease of use can also offer practicality for users, without compromising the design.